We recently celebrated my daughter’s 16th Birthday and she wanted a 1950s themed party. I love her. She’s original, which really makes things fun. We had planned on doing an outdoor movie but then Texas decided to get super weird and actually have winter weather. Twenty degree winter weather. So we had a movie inside, with a fire pit and twinkly lights outside. The night was a huge success and a ton of fun and I now have a 16 year old daughter. Tears. Just let me cry tears. Here’s the secret ingredient. 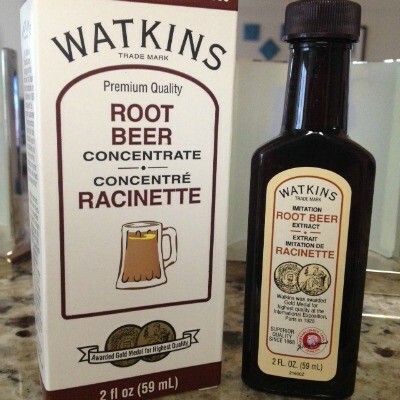 Watkins Root Beer Extract. It smells amazing and it made the cupcakes tastes amazing. Here’s how I made the cupcakes. Like I said, the first recipe bombed, so I just used a regular chocolate cake recipe mix and I added 1 tsp of root beer extract. It was the perfect amount of root beer flavor. Especially since the frosting also has the extract in it. If you want to make the cake from scratch, I would recommend making a regular chocolate cake from scratch and substituting the root beer extract for the vanilla. There are also recipes out there that call for a little bit of root beer as well. Just don’t make them the day of the party. Ahem. I just did a basic buttercream frosting. It was amazing. 1. Beat the powdered sugar and butter together on medium until well mixed. 2. Add milk and root beer extract to butter mixture a little at a time and mix on medium. Once it’s mixed in well, turn on high and mix for about 5 minutes on high speed. The frosting should be light and fluffy. 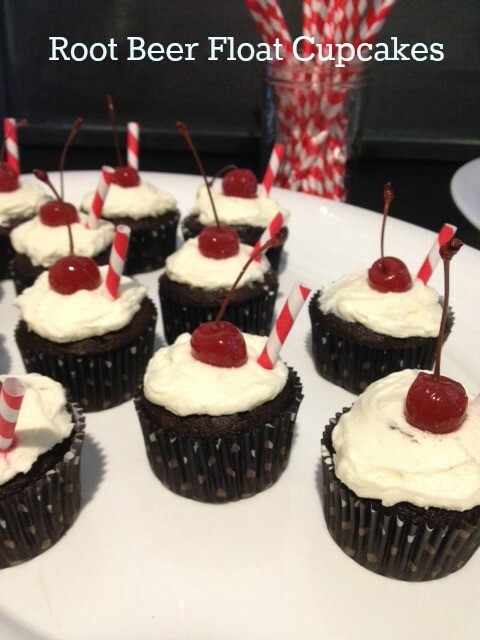 We topped off the Root Beer Float Cupcakes with a cherry w/ stems and paper straws. Just cut the straws to your desired length and gently push them in. They have some really cute ones at Target. I purchased the ones shown at Amazon. And there you have it! I’ll share more pictures from her party soon. 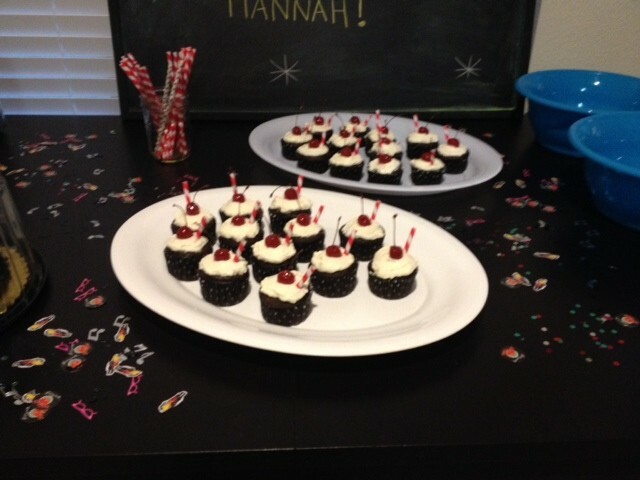 We’ve already had a few party goers request more cupcakes. So yeah, they were yummy. Previous articleMenu Monday: How Do You Plan Your Meals? Oh my starzzz those cupcakes sound yummylicious! 🙂 Thanks for sharing your recipe. I never thought ro use chocolate cake mix… my family, friends, along with myself are HUGE rootbeer float fans! I’ve always used whipped cream w/the rootbeer flavoring & now i’m anxious to try your rootbeer buttercream recipe Mmmm!